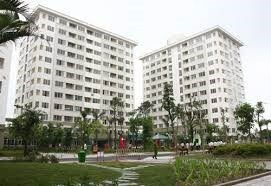 Hanoi (VNA) – The Vietnam Industrial Bank (Vietinbank) has agreed to provide funding worth 900 billion VND (40.18 million USD) for the Vesta social housing project in Hanoi. The deal was signed between the bank and the Hai Phat Investment Joint Stock Company – the project investor in Hanoi on January 21. The Vesta social housing project, also known as the Phu Lam residential project, will be built on a 4.5 hectare site in Ha Dong district. The project, worth 2.3 trillion VND (102.68 million USD) will offer 1,902 apartments ranging between 48-69 square metres.